Solar Eclipse August 2017 Oregon: What is it? NASA's website for this eclipse. Contains links and information about the science, safety, events, etc. 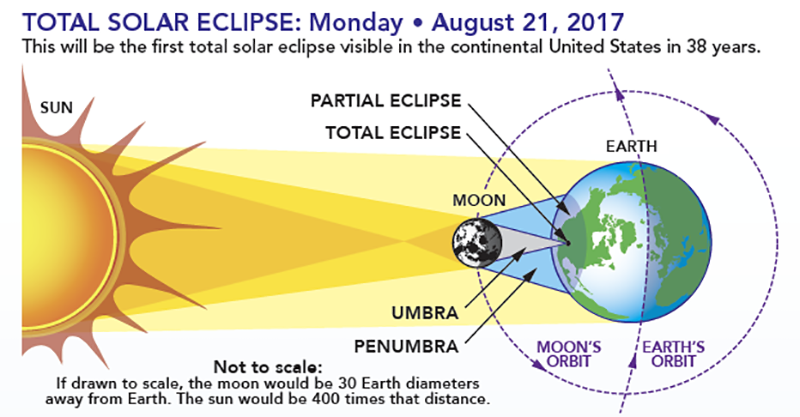 The webpage contains instructions on eye safety when viewing the eclipse. There are also pictures of an eclipse depicting when one must wear protective eye.